With Jordan Henderson nearing his return from a troublesome foot injury, the Liverpool captain can prove hugely influential in the top-four race. The 26-year-old has missed the last four games after picking up the issue in training ahead of February’s 3-1 defeat away to Leicester City. But after sitting out of England duty and spending the international break in rehabilitation, Henderson is hoping to rejoin Jurgen Klopp‘s squad for the Merseyside derby on Saturday. If that is the case, the Reds should have a better chance of securing the three points at Anfield, as statistics from Oulala highlight. 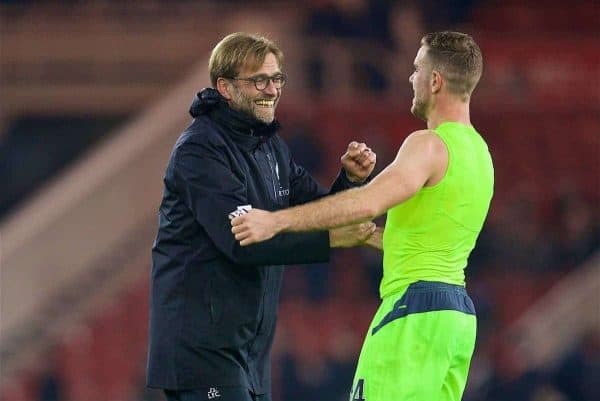 Klopp has been able to call upon Henderson in 24 games in the Premier League this season so far, with the midfielder missing just five. And his performances in the No. 6 role have contributed to a win ratio of 58 percent, compared to 40 percent when he has been missing. Furthermore, Liverpool have scored more goals per game on average, at 2.2 with Henderson and 1.8 without him, and also conceded fewer, at 1.2 with and 1.6 without. On a more basic level, the Reds have averaged two points per game when Henderson has been available, with this dropping to 1.6 per game when he has been sidelined. While the likes of Emre Can and Georginio Wijnaldum have been in excellent form of late, Henderson’s return is a big boost to Klopp’s top-four hopes, particularly with Adam Lallana injured. Klopp is expected to dip into the transfer market to add to his midfield ranks this summer, but the balance his three-man unit have found in 2016/17 is certainly encouraging. In fact, there have been suggestions that Liverpool’s interest in Borussia Monchengladbach controller Mahmoud Dahoud cooled due to the emergence of Henderson in his new deep-lying role. The Reds manager clearly has a lot of faith in Henderson to perform in Liverpool’s engine room, belying criticism of his approach. 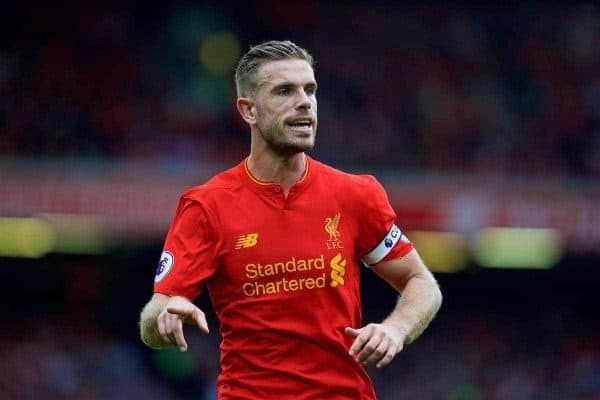 It may take time for Henderson to return to top form, given the extent of his injury, and it remains unclear whether he will be passed fit to start against Everton on Saturday. But Klopp will be clinging to the hope that the former Sunderland academy talent can recover in time for the derby at Anfield, and remain fit as Liverpool push for the top four. As with Henderson in the team, Liverpool look more likely to take all three points. Win the new Liverpool FC 2019/20 home shirt!